I don’t have those items and my husband, the one who knows how to actually build things, is out to sea, so I decided to make my own paper using items I already had at home. The paper isn’t as uniform in size or thickness as it would be with the ‘right’ equipment, but I like its rustic appearance and think it’s a great way to use some paper scraps! 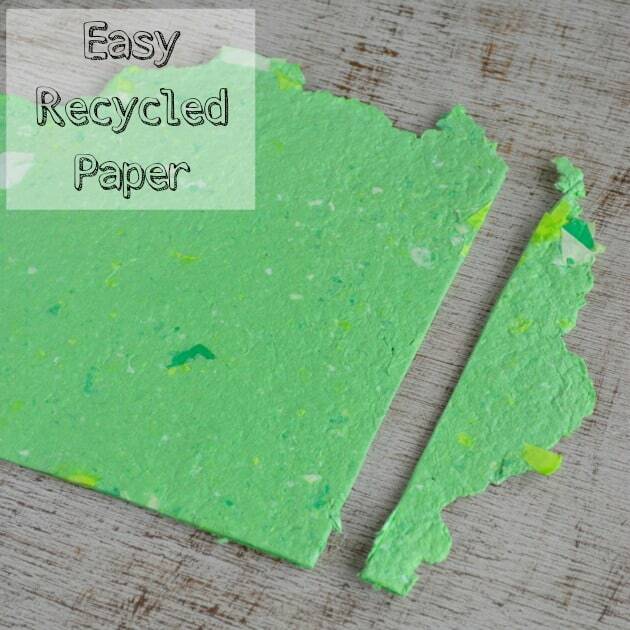 I hope you enjoy learning how to make recycled paper without a mold following this tutorial using materials you probably already have at home. 1. 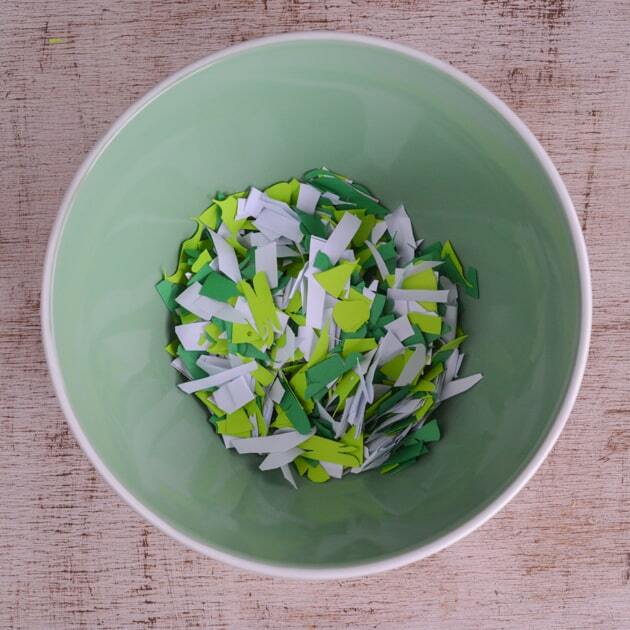 Cut or tear your paper scraps into small pieces. They don’t need to be super tiny, but try not to make them too big, either. Most of my pieces were about an inch long and maybe 1/4″ wide. My scraps were irregular, but mostly I just made little parallel cuts in the paper as if I were creating a fringe and then cut the fringe off to easily make small pieces. Place the pieces in a medium bowl as you cut them. 2. 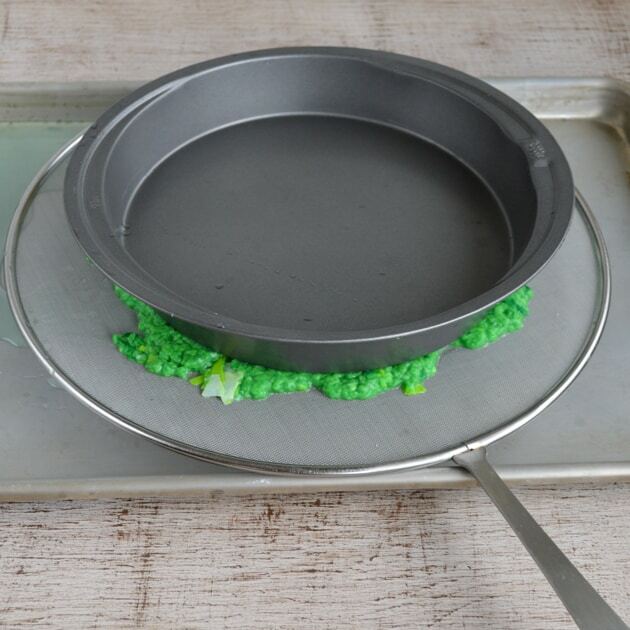 Pour enough cool water into your bowl to just cover your paper and push the scraps down into the water if it’s trying to float. Let the paper soak for a couple of hours, or until it’s soft and mushy. You can put the bowl in the fridge, if you’d like, but it really isn’t necessary unless it’s very warm in your house. 3. Once the paper is mushy, either transfer it to a blender or use an immersion blender to process it until it forms a thick pulp. I used my immersion blender and it worked just fine – I really liked that I could see how processed the paper was becoming and could leave some larger scraps intact. 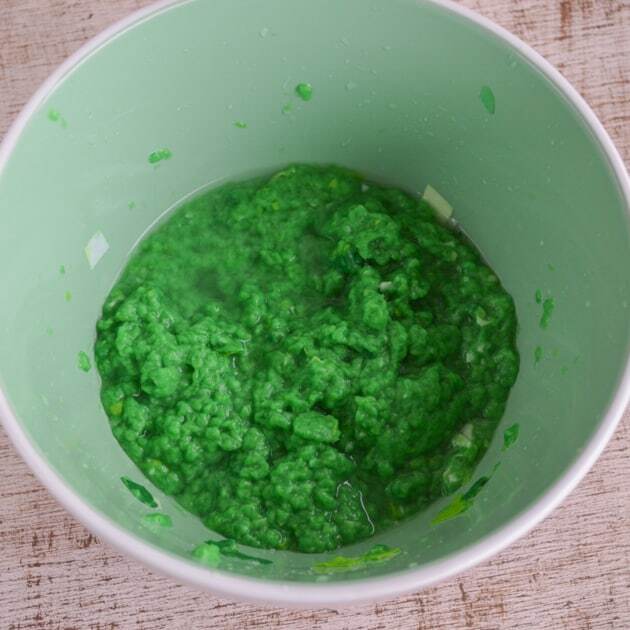 If the mixture is too dry to form a pulp, add a little extra water. 4. 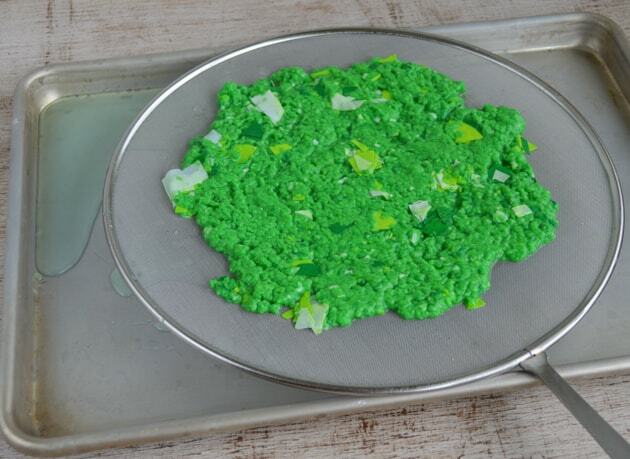 Place your splatter screen on your cookie tray. 5. 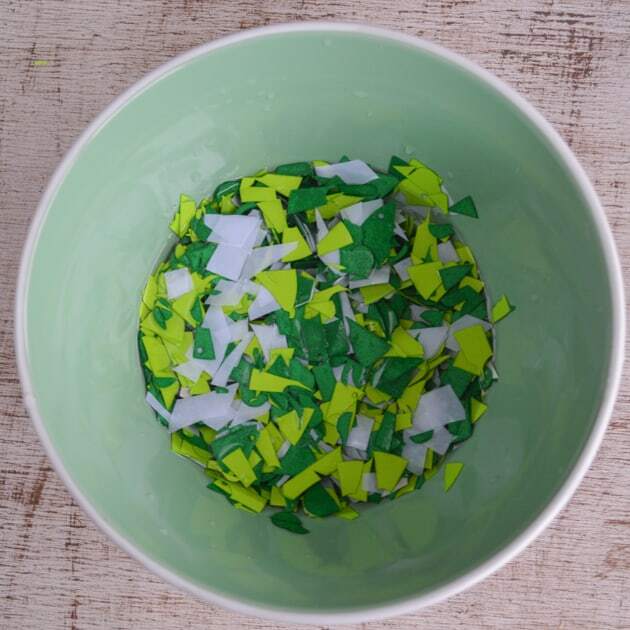 Scoop the paper pulp out of the bowl and spread it out on the splatter screen. 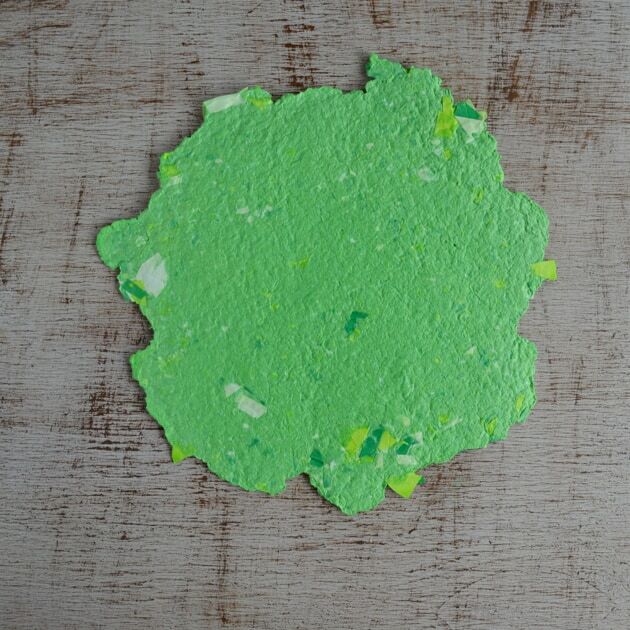 You want to make the pulp layer thin enough that the paper isn’t super thick and lumpy, but thick enough that the paper can actually stick together without holes in it. 6. 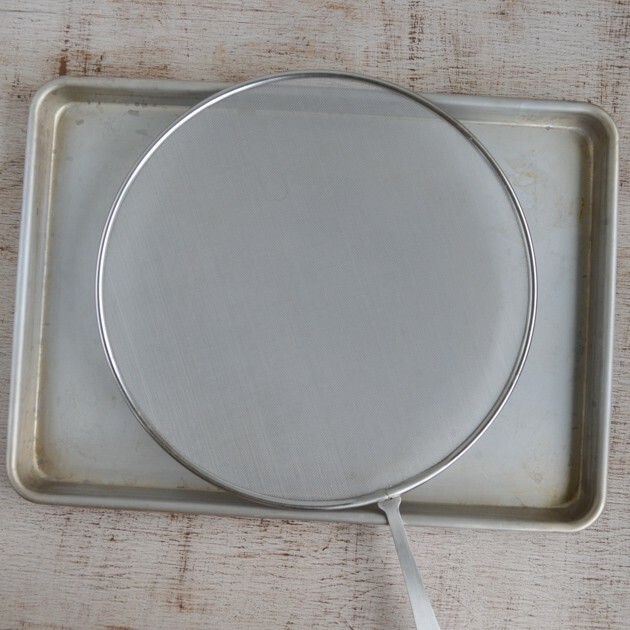 Once you’ve transferred all the pulp, use your hands, a spatula, or even a pie pan to carefully press out as much water as possible. 7. Pour out the excess water, if you’d like, and allow the paper to drain/air dry until it’s, well, dry! You can speed this up a little by using a hair dryer. It may take a day or two to dry fully if you don’t use a hair dryer and it’s particularly humid. You can carefully use an iron *not* set to steam if you want to get a little extra moisture out. Just don’t burn your paper! 8. Use your paper for crafts, personalized notes, or whatever else you’d like! I enjoy the way it looks with natural edges, but you can trim them up, if you’d like. I always feel awful about throwing away perfectly good paper scraps just because I can’t think of a way to reuse them. 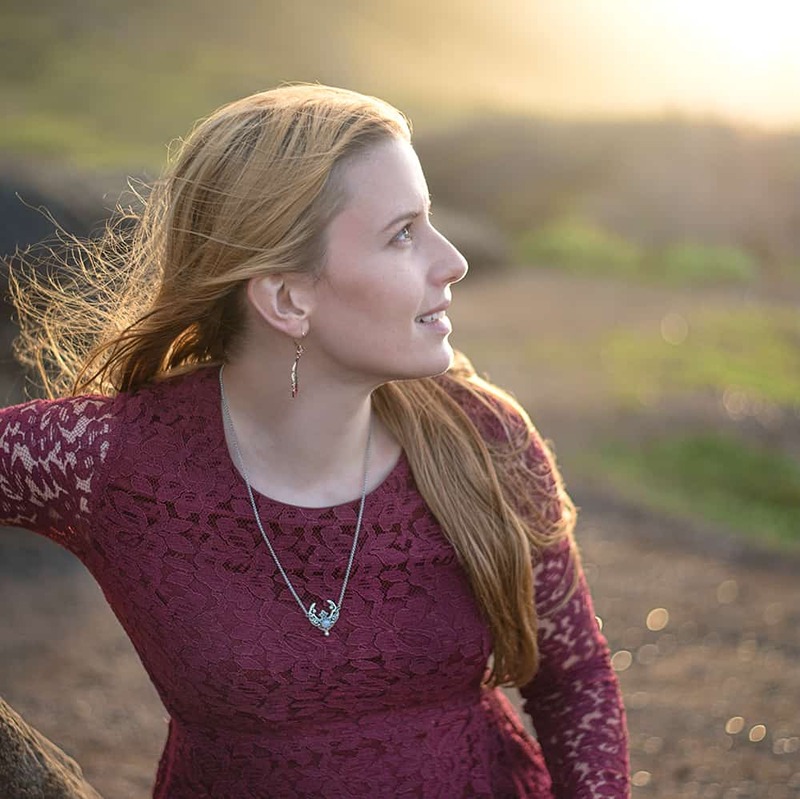 This project is the perfect way to put those totally cool bits and pieces to work! Of course, it does result in a somewhat ‘rustic’ piece of paper. I have to admit that you do need the real equipment to make super ‘nice’ paper, but sometimes a homemade piece of paper that isn’t factory perfect is exactly what the situation calls for. I think this paper would be great for personalized notes, scrapbooking, and even mixed media creations. This paper can be particularly beautiful if you include leaves, flowers, or even scraps of fabric or yarn. 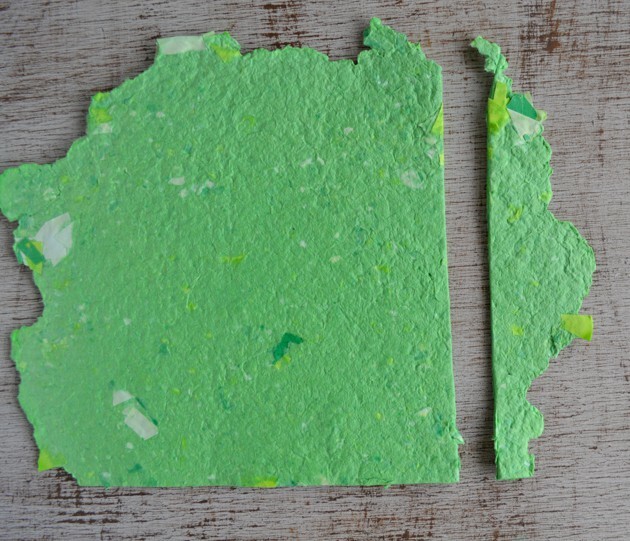 Have you ever made your own paper? What inclusions are your favorite? This is an awesome idea. Hoping I can stumble upon a used immersion blender so I can give this a try. You could use a regular blender, instead, we just didn’t own one at the time! I’ve also made paper with a standard blender.